Organizations with automated time and attendance achieve 12% higher worker productivity. 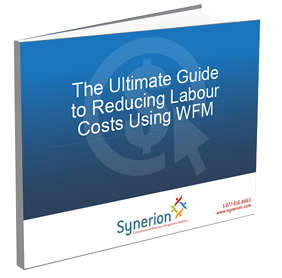 Lowering labour costs is crucial for any business that wants to maintain profitability. In order to do so, it's critical to have an effective strategy in place. It's important to know where to look to cut labour costs and at times those decisions can be tough. Well, you know what they say. When the going gets tough, the tough turn to workforce management. That's why we've created this eBook, to show you how easy it is to start saving time and money today with automated workforce management. All businesses are unique but when it comes to reducing labour costs, everyone can benefit. Request our eBook and keep your business in the black today.